Easy walk from the visitor centre to Lake Sambell, through Queen Victoria Park and the Town Hall Gardens. Start behind the Beechworth Visitors Centre at the Burke Museum, which was the Public Library. 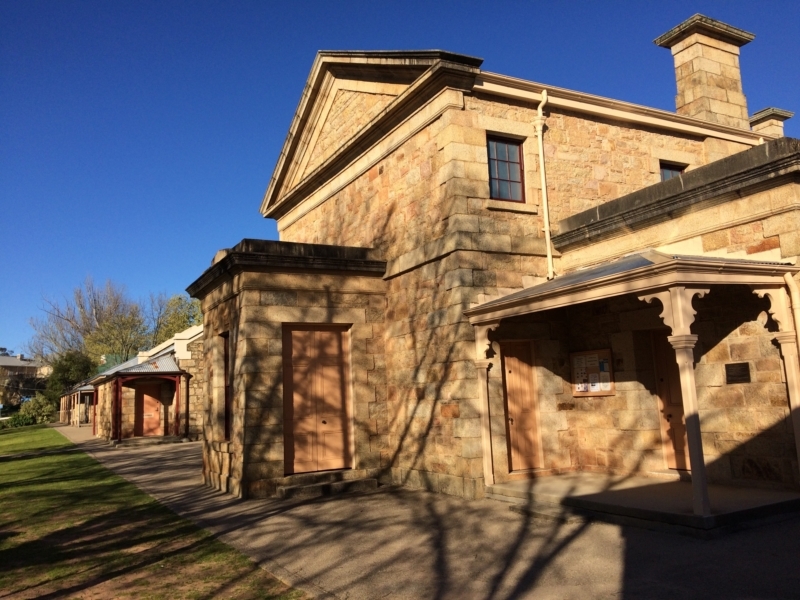 Travel through the Town Hall Gardens, turn right passing the Beechworth Historic and Cultural Precinct in Ford St. 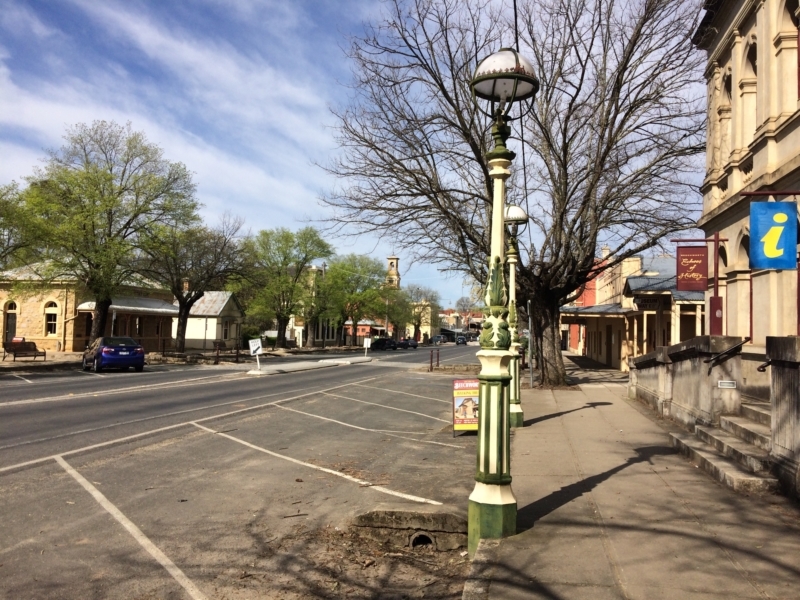 Turn left into Camp St, past Beechworth Honey (formerly the Bank of Victoria 1867), past High St and over Silver Creek along Albert Rd. Stop when you come to the Beechworth Chinese Gardens to contemplate the reason for their existence - peace and harmony. Turn left into McConville Ave towards Lake Sambell, which offers a peaceful oasis full of bird life. Turn left into parkland and cross Silver Creek to Spring Creek Lane. A short left turn onto High St and you are at Queen Victoria Park. 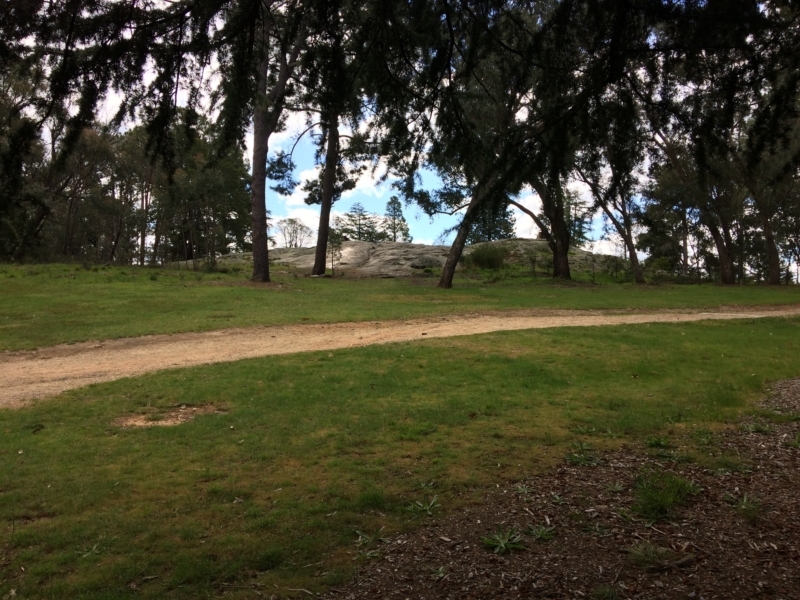 Wander through the park noting the massive granite formation (known as the Giant's Grave) with two cannons on top. Turn left into Ford St and you are back to where you started. 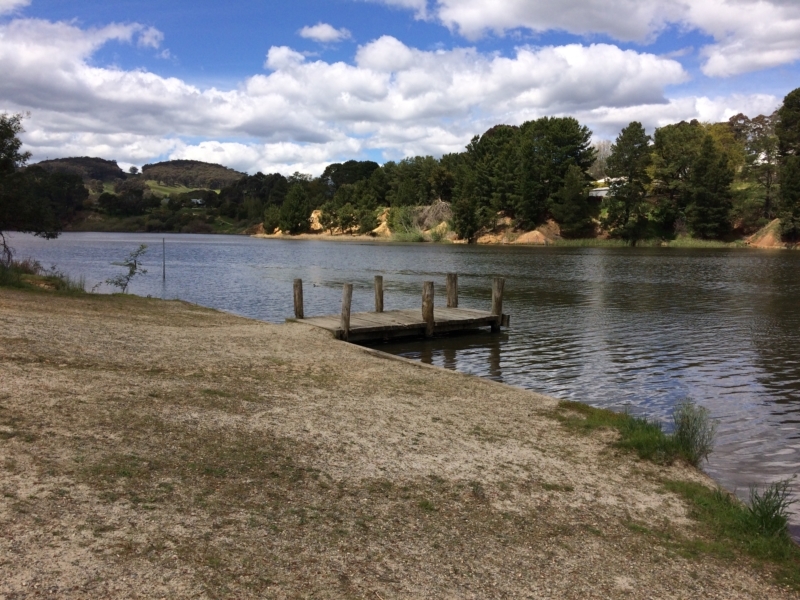 Lake Sambell is a leafy retreat and bird haven not far from the township of Beechworth. 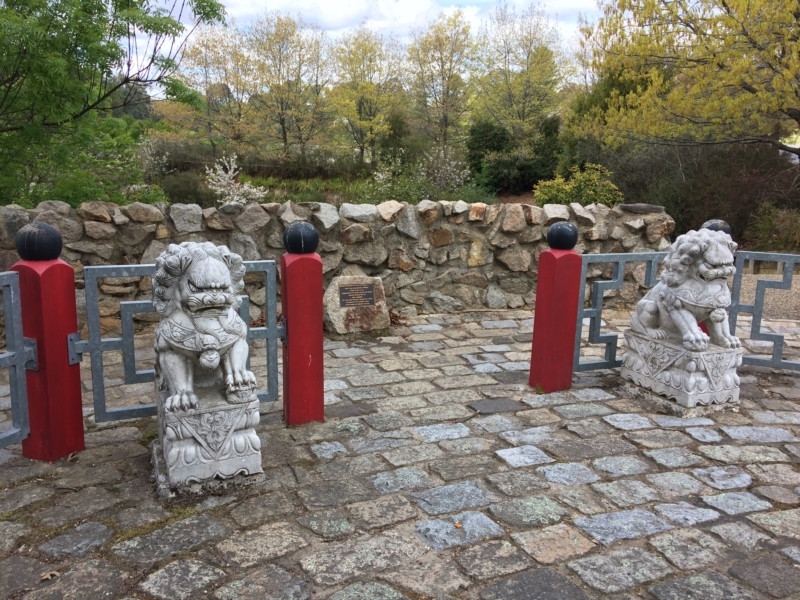 Beechworth Chinese Gardens were designed in recognition of Beechworth's Chinese heritage with feng shui principles. 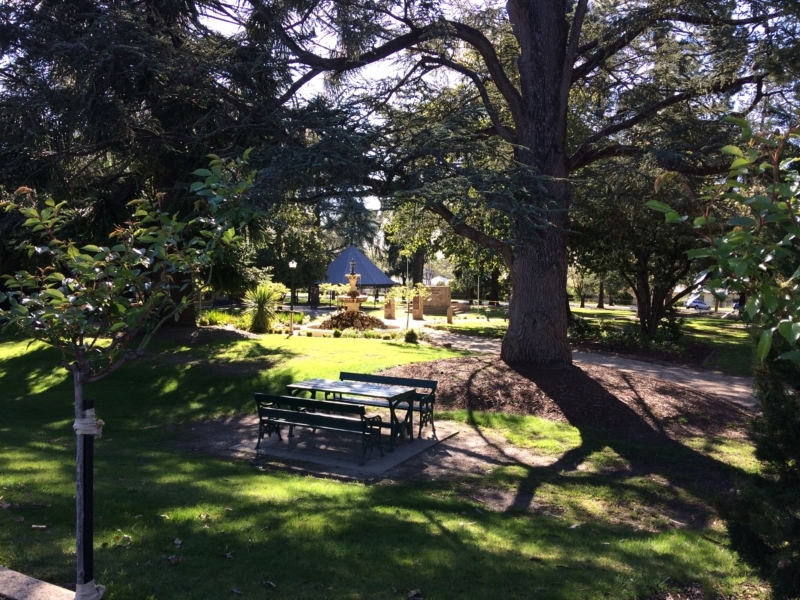 Beechworth Chinese Gardens seen from McConville Avenue. 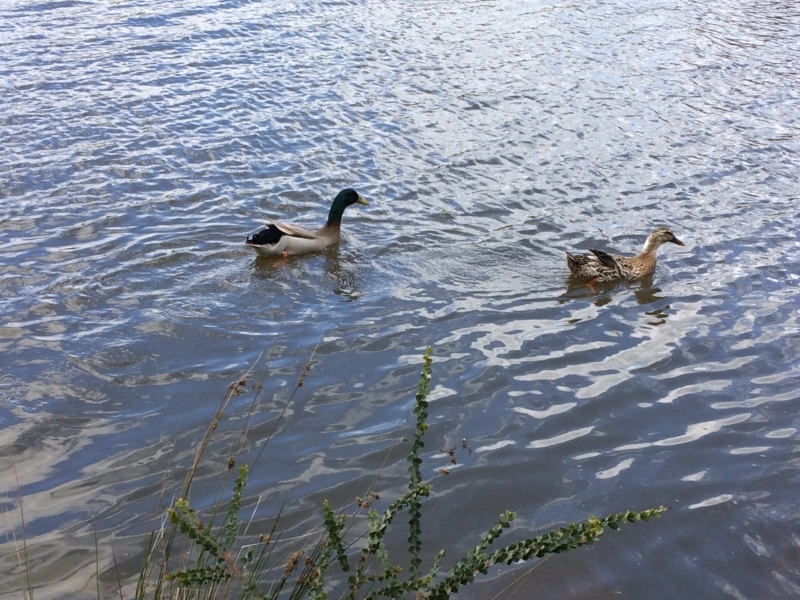 There are a variety of ducks and bird life at this lake. It's a good spot for bird watching! 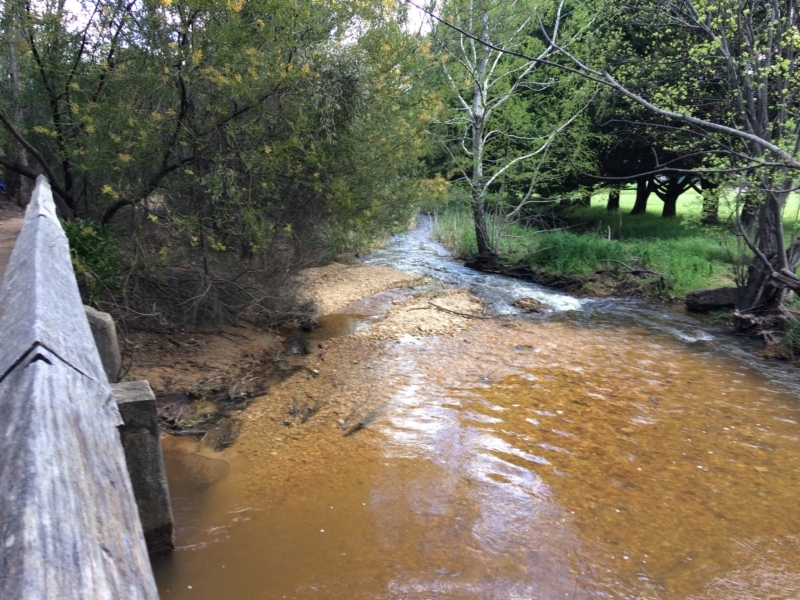 A charming bridge over Silver Creek, a picturesque location to soak up the serenity. Giant's Grave, the local name for the large granite mound in Queen Victoria Park, is home to two cannons. 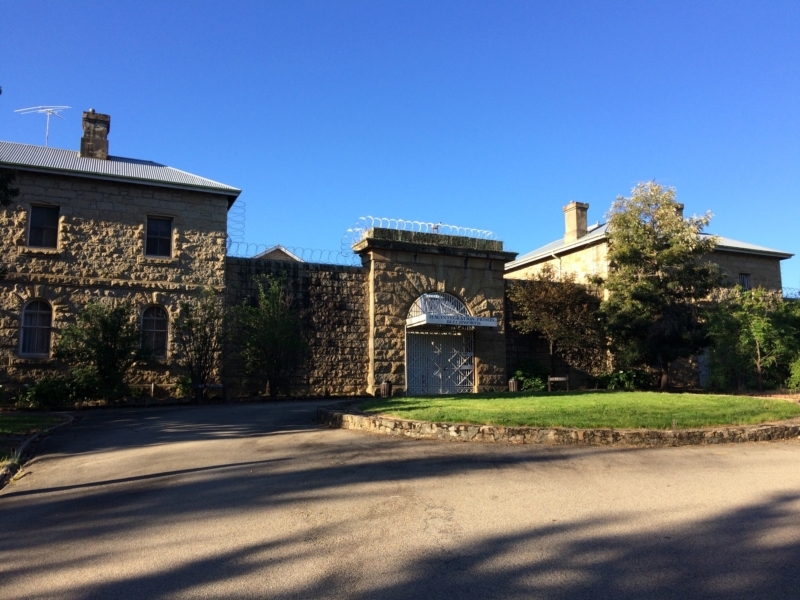 The Beechworth Gaol ran from 1856 to 2004 and had many notorious prisoners, including Ned Kelly and Carl Williams. 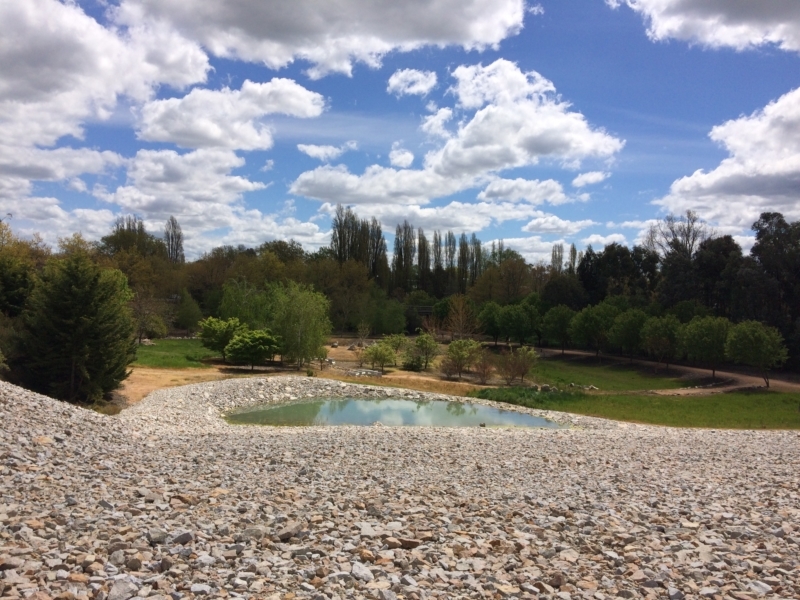 Baron Ferdinand von Muller sent trees and seeds from the Royal Botanical Gardens in Melbourne. These gardens have been open public space since 1857. 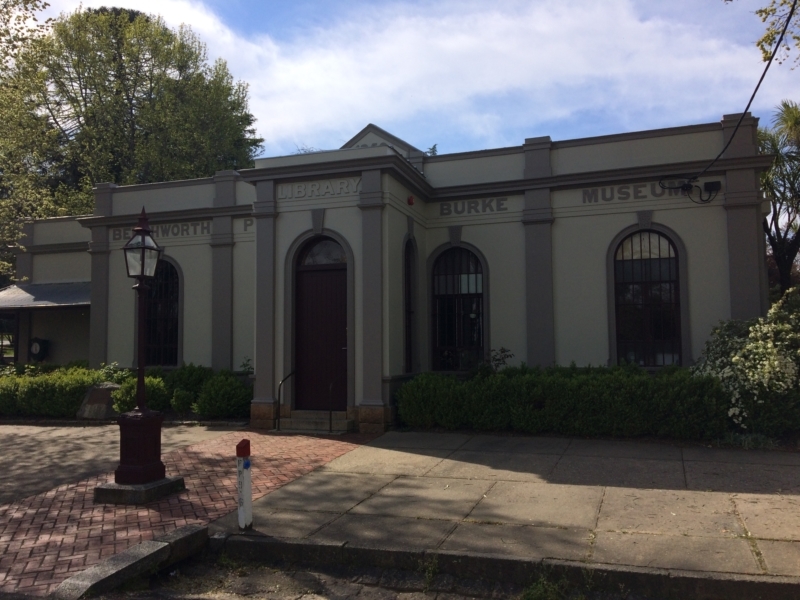 After the death of Beechworth's former Superintendant of Police, Robert O'Hara Burke at Coopers Creek in 1861, the formerAthenaeum was renamed in his honour as The Robert O’Hara Burke Memorial Museum. 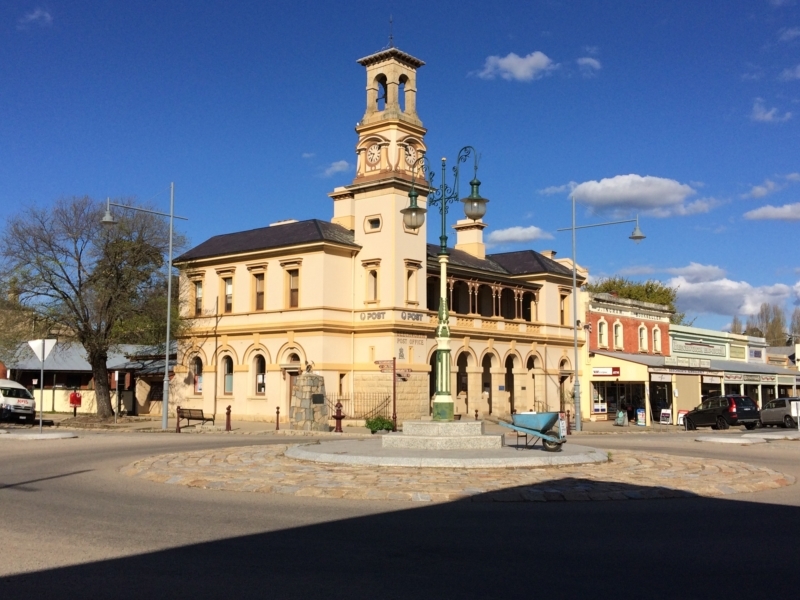 All the information you need about Beechworth can be obtained here. The Post Office was rebuilt with the bell and clock tower in 1867.